With the summer coming to an end, California ranchers look ahead to what the new season brings. Fall gives agriculturalists a chance to breathe, with harvest complete and calves on the ground. However, this November, agriculture and politics mix once again, with a new round of propositions on the midterm ballot threatening farming practices. Politics is a frequent hot topic for the state’s farmers and ranchers. California is one of the top producing areas of the world for crops, but the majority of its population resides in large cities like San Francisco and Los Angeles. It is a problem when the majority of registered voters are not directly involved in or understand farming practices. Today, the average person is four generations removed from agriculture. 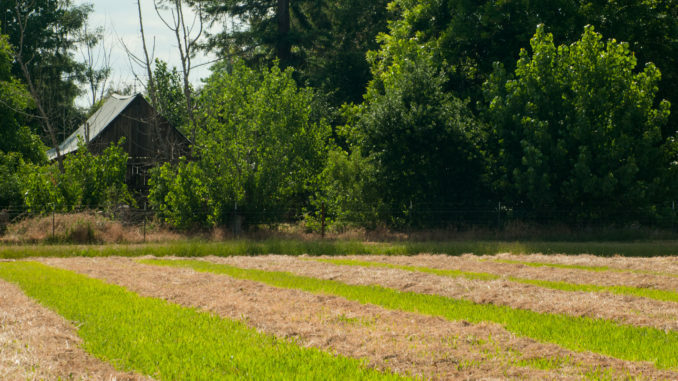 With positive changes in farm policy happening on a national level, California lags behind. On its November ballot, Proposition 12 proposes to “ban the sale of meat and eggs from calves raised for veal, breeding pigs, and egg-laying hens housed in confined areas.” If passed, all eggs are required to meet “cage-free” standards by 2021, gestation crates for sows will be illegal by 2020, and veal industry will be outlawed all together.